In my never-ending research for topis about art and design I stumbled upon the title for this little book in early January. It took a while to locate a bookseller, make contact, initiate payment and make shipping arrangement for this little treasure. 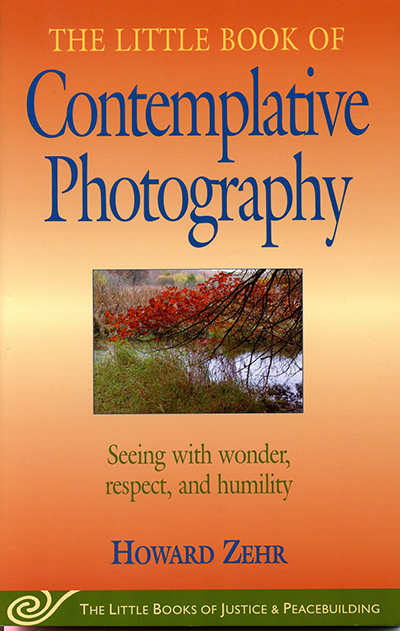 Contemplative Photography is quickly becoming an essential reference in my library. It has secured already a place on my list of five favorite books to take to a deserted island, should I ever face this challenge. The first chapter begins with a quote by Algimantas Kezys, Photography is not what’s important. It’s seeing. The camera, film, even pictures, are not important. What is that quote doing in a book about photography? you ask. The quote sums it up: We are a product oriented society. I see it in many of my workshops; participants arrive full of anticipation that they will create the perfect piece of art worthy of entering into shows which will possibly result in countless accolades and even monetary gain. I cannot stress this enough: A weekend or week-long workshop does not make the master. My message has been the same since I began to share: Embrace the knowledge, explore the process and play. The more you play the more you learn, the better you get no matter what the subject and skill may be. The Little Book of Contemplative Photography builds on my personal philosophy and the content of another favorite book, Art & Fear. One must start at the beginning, explore a fresh interest, patiently practice a new skill, and carefully examine any finished task to evaluate the final product. The author, Howard Zehr, writes from personal experience. He has embraced photography not only as a secondary profession but also as a form of meditation. The book is appropriately partitioned into eight informative chapters, ranging from Getting Started, Changing Our Lens, Practicing Mindfulness, An Attitude of Wonder, Seeing the Light, Exploring Metaphor, Making Meaning to With Respect and Humility. This book is not your regular how-to reference. The author clearly states that the book is a gift to anyone who would like to couple photography with seeing and thinking more deeply. Each chapter offers a Purpose, a Problem, and at least one Activity with the camera to practice mindfulness. Contemplative Photography is not a coffee table book with stunning images. It is however a small book with inspiring information on how to consciously slow down and see the world with fresh eyes. In closing I want to explain why I decided to review this book on my fiber arts blog: Whether we use photography or fabric and embellishment, the message is the same. Just as the photographer captures images and evaluates the outcome, the fiber artist applies knowledge to each piece, adds new skills and a better understanding of how materials support and interact. Each stitch, by hand or machine, must be appreciated, evaluated and contemplated. My ultimate message is to slow down in a world that seems to be spinning faster with each day. Appreciate the small steps, embrace the challenges and draw from your experiences. Enjoy life and marvel at each wonder! 10 Mar	This entry was published on March 10, 2013 at 10:53 am. It’s filed under Art, Book Review, Creativity Update, Design, Journaling and tagged Algimantas Kezys, art and design, Contemplative Photography, fiber art vs. photography, Photography. Bookmark the permalink. Follow any comments here with the RSS feed for this post. Older: Local Art and Design Workshop Confirmed! Donna – you are welcome! I know how life is – we have the best intentions and then the obstacles begin to appear… Just never loose sight of your goals and intentions and cease the opportunity when it presents itself. Anna, this post really touches me. I love to get out in nature (even my own back yard) and photograph what I see. I totally agree that this little book applies to all arts. I am so glad you find this post resonates with you. When I began to read the book I knew it was not photography specific – I incorporate some of the information and personal finding in my art and design classes now. Thanks, Marg. I am not sure how different the point of view really is between the two books. Howard Zehr is an active member of the Mennonite Church and his meditative practice is steeped in Christianity. His focus is social justice and through this he found that he needed to make time to refuel, so to speak. Contemplative photography has become his form of meditation and inner reflection. Another photographer who has written several books is Freeman Patterson, Canadian, who is very inspirational. Judi, thank you for reminding me of Freeman Patterson. I find his books very inspirational.